The next time you order some oriental food from the takeaway spot that's closest to you, ask yourself: when was the last time you played new online slots game, Lion Dance? If you've never heard of it before, then you're about to receive a fortune cookie that can give you all of the luck that you need in today's world. Brought to you by Red Tiger Gaming, this online slot game is one of the many that you may have encountered on your favourite game vendor. But what makes this one outshine the rest is the fact that you experience the true essence of the Lion, which makes players return to this game repeatedly. Check out our entire list of Slots games at SlotsBaby now. With its extraordinary design and intense graphics, Red Tiger Gaming is one of online casino game developer that every player has become aware of. They not only consider how the game acts itself but also how the players react to them. And when they make their aims, they aim high. The games that Red Tiger Gaming has developed always perform at high quality, and they can be played on different platforms. So when you're playing one of their games outside, you'll always have access to them via your smartphone, just like one of their most popular games, Lion Dance. If you love promo's, check out Slotsbaby. Red Tiger Gaming likes to think outside of the box, without a frame. So, it's no wonder why they decided to design Lion Dance as a 5 reel playboard on a frameless grid! The rest are always kept at a minimum view. 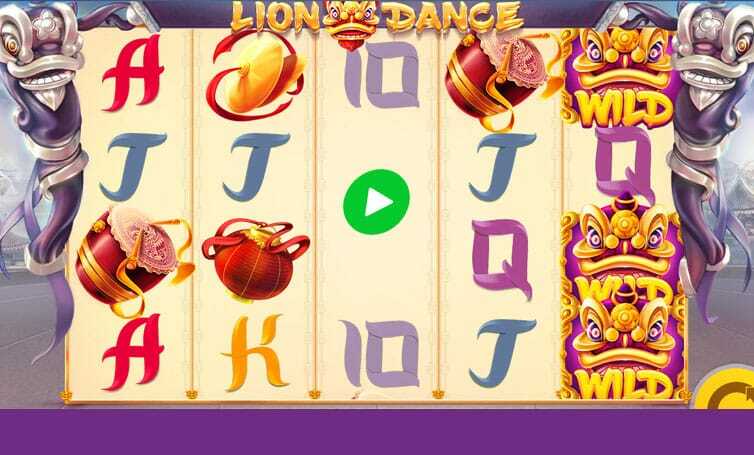 Because of its simplistic view, the players are able to surrender to the 4 in 1 Free Spins, where nothing else can distract them from reaching their goals and winnings. 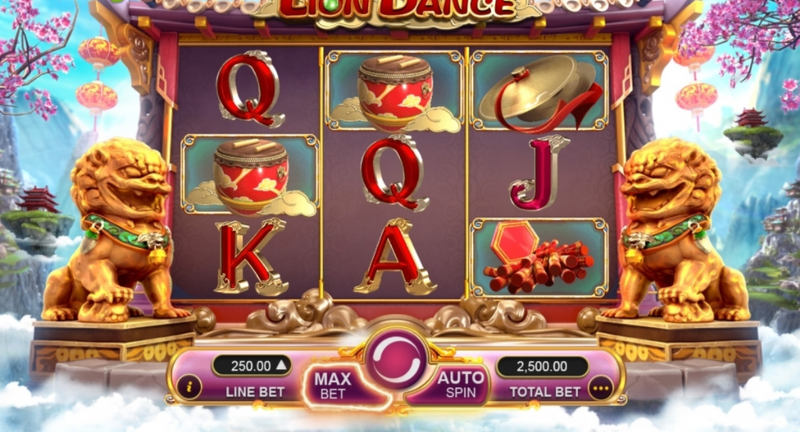 The slot game contains WILDS and SCATTER symbols that activate a dance that you'd have never seen before. WILDS: Replaces all of the symbols except for the SCATTERS. SCATTERS: When the player obtains 3 scatters on the odd reels such as 1, 3, and 5, you end up with 3 clusters of firecrackers where you have to pick only 1 to make a win. Deep Stacks World: 2-3 reels randomly chosen to be invaded by a higher paying symbol. Connected Tiles World: 1 pay symbol chosen at random that eats its way across the tiles. Mystery Symbols World: Some of the symbols on the reels replaced with a spinning coin and becomes a new symbol when its orbit comes to an end. There's always something mysteriously enticing about Far-East Asia, especially when it comes to the mystical Lion that represents good luck in China. And if good luck is what you need, the Lion Dance definitely brings it to your laptop or mobile screen.